Academy gives you the opportunity to do two great things: educate and earn. 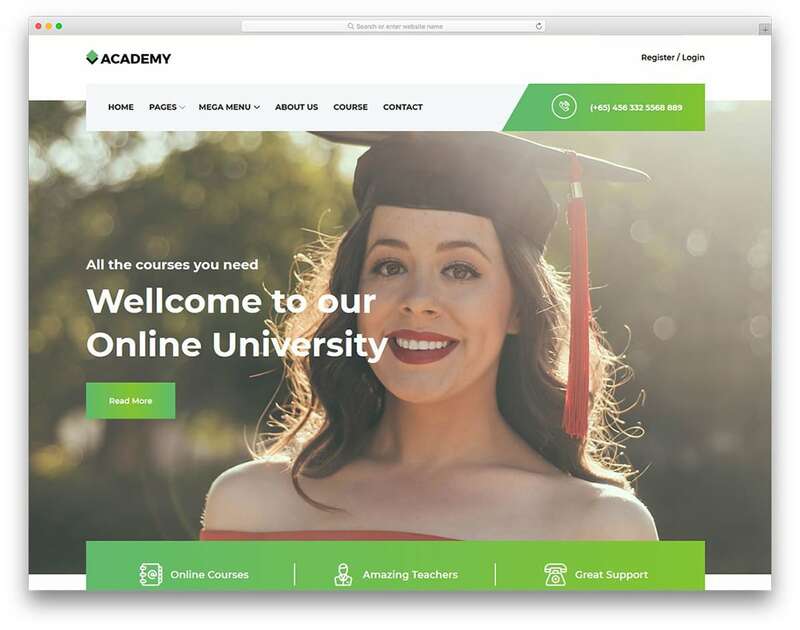 This template works as a perfect platform for advertising an online learning service or any other kind of educational service. Academy will guarantee that you will look professional, trustworthy and worth the investment. When it comes to educating, you’ll need much more than just being an expert. What does Academy bring to the table? It’s powered by Bootstrap 4, which means that it will be incredibly flexible and optimized to ensure the highest possible load speeds. When it comes to aesthetics, inside you will find a wide slider, a beautiful front page, large and seamlessly navigable menu and many more widgets that are a must for a successful learning platform.